Tharoor provides no statistical evidence to back up his argument, so I decided to do some of my own research on the matter. His first point about the type of people that play golf is clearly a stereotype, but his second point could carry some validity. Audubon International reports that the in the U.S., the average course uses 312,000 gallons per day. In arid places, like Palm Springs, a course may use the equivalent of a family of four over the course of four years. However, this is changing as more courses are using recycled water and using grass that requires less water. Another claim made by Tharoor is that it is an excludes minorities and people of lower economic status. This point may hold some credence because golf can get expensive. 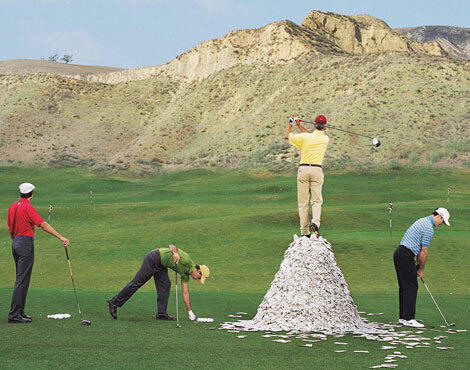 According to the “2009 Survey of the American Golfer,” golfers spend an average of $3,000 per year. Some people say that golf is no longer a “white man’s sport” due to Tiger Woods’ success. But the economic constraints of golf may make it inaccessible to some, especially minorities who live in urban areas. However, there are many organizations that provide underprivileged kids with the opportunity to learn and play golf, like the Sticks for Kids program. It also should be noted that Tharoor failed to mention the extensive charity work done by the PGA Tour. Throughout the Tour’s history, it has raised a whopping $1.8 billion dollars for the 3,000 charities it serves. Tharoor criticizes golf for targeting the environment and the underprivileged, but if he had done his research he would find that it contributes resources to both. The PGA Tour’s causes also include the military, disaster relief, and education. What do you think? Is golf a bad sport? Should we even judge sports based on their social consciousness? This entry was posted in Golf Thoughts and tagged charity by . Bookmark the permalink.